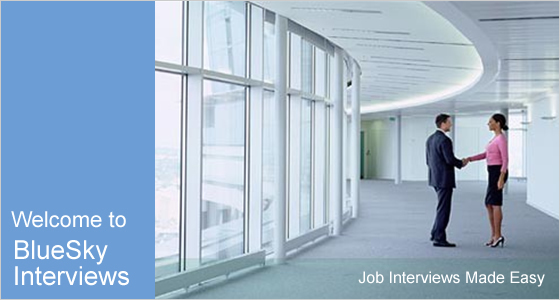 Welcome to the BlueSky Interviews site giving you lots of sample interview questions for a whole range of jobs along with expert interview answers. You will learn about the different types of questions you may be asked and you will find articles and advice helping you to excel in any job interview. The site is brought to you by Anson Reed the interview coaching and training specialists and is packed with lots of free information and some great interview skills training products all designed to help you make a powerful impression at any job interview and get the job you want. A job interview can be daunting even for the most experienced candidates and our extensive selection of articles and advice will help make interviews easy. Not only will you find information about the types of interview questions and how to answer them you will also discover some top Interview Tips along with powerful Interview Techniques from top recruiters. We also provide interview coaching and online interview training, great services which can really help you get hired faster. We hope you enjoy using the site and we are sure it will help boost your confidence and ensure you arrive at your interview fully prepared, confident you can win the job offer. In the site we also include interview questions specific to a whole range of different jobs and sectors. From Accounting to Medicine and Nursing right through to Sales we have got content which will help you anticipate what they will ask and we provide help with being able to give strong and successful answers. Going to an interview for a job in Customer Services or in a Call Centre? Then read this article which tells you what to expect and provides some typical interview questions for you to prepare for. A really useful article with great advice for any candidate looking for a job in the Administration and Clerical sector. Going for an interview in Project Management? 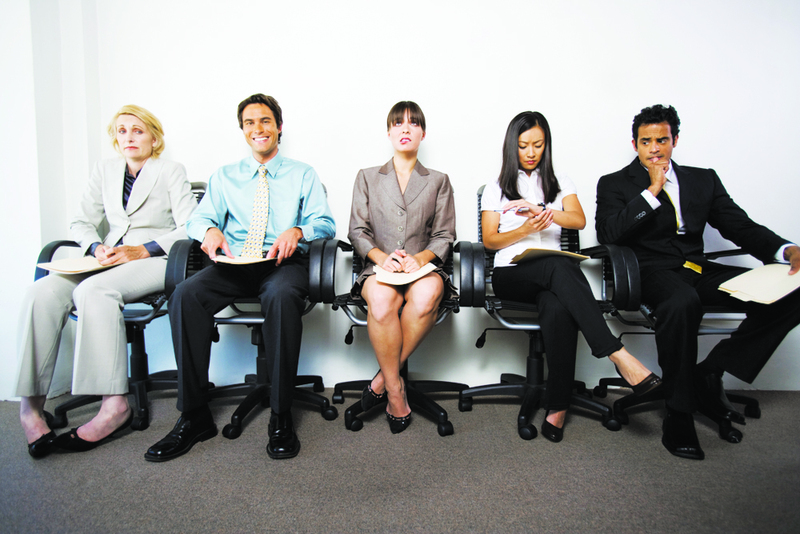 Then check out this article with some sample interview questions and tips on how to answer them. A job interview is all about the questions and answers. It is a communication exercise with a very definite purpose whereby the interviewer is trying to gather the information he needs in order to make an accurate decision. You are playing your part too by providing that information in a concise and clear manner while also selling yourself. It is a fine balance and requires very specific skills. In the site we include a series of articles to help you answer questions easily. Whether you are looking for Competency Answers or help with traditional interview questions then you have come to the right place. 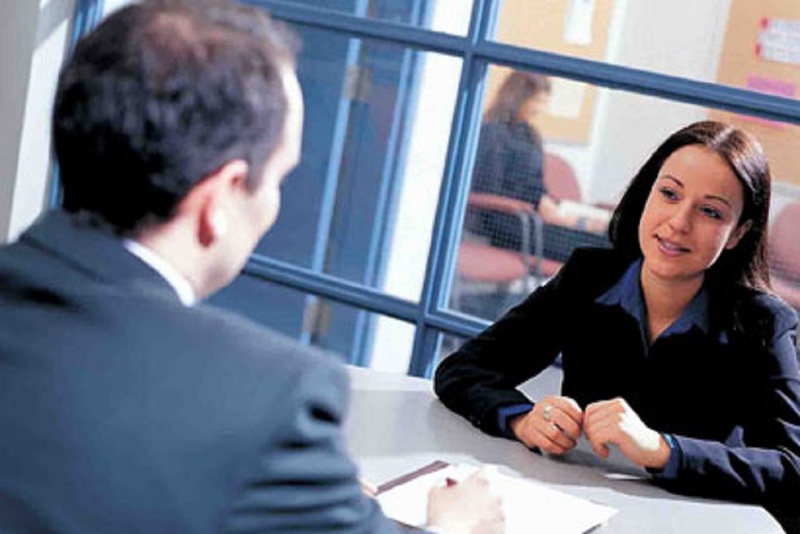 A Competency Interview is a technique used by recruiters and employers to determine how well matched a job applicant is to a particular position. The core concept involves each applicant being asked the same questions in order to determine how skilled they are. Have you ever been asked a Behavioural interview question? Perhaps you have but didn't realise. These can be called situational interview questions and can be difficult for many people to answer correctly. The key is to give a strong example using the right structure. So why is it so difficult to give a good answer in an interview? For some it is a breeze and yet for others it is a challenge. You know that answering job interview questions is a skill that can be learned by anyone. It really is a matter of anticipating the questions you will be asked and preparing and practicing effective and relevant answers. Want to be able to create a winning Competency Answer? Read this article which outline two great techniques you can use when bringing structure to your interview answers. Nothing lasts forever and especially in the current job market nothing is permanent. If you perhaps have been made redundant you will know how important up to date interview skills are. 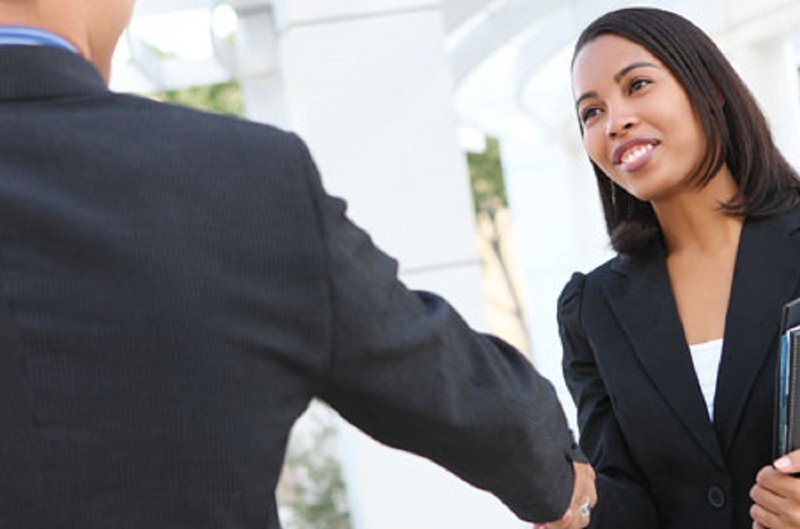 This article will tell you more about that and how you can develop winning interview skills.